Avid card collectors turned sellers. We have completed several sets of the vintage Topps cards. And as with most collectors we are not yet finished. Think a set is never totally "finished"!! The most fun we had with a set was the 1962 set. So many variations in that one that it was a challenge yet very fun to complete. If you ever have any questions on that set give us a shout. As to us >> Jim worked for FedEx for many years and now drives truck. Terri (me)worked customer service for most of my life, the last stint being for a major wireless phone company. Now selling cards is my full time job. So usually emails are answered promptly as I am usually at my computer 12+ hours a day!! Children are all raised and now have the joy of having grandchildren. Jim was raised in Missouri though he spent most of his adult life traveling the world. 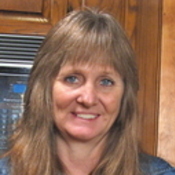 Terri was born and raised in Idaho and I spend most of my life in the pacific northwest which is where most of my children and grandchildren reside. wildhorse doesn't have any items in their booth! eXcellent Seller!! You will love Wildhorse! Friendly, helpful and always available to answer your questions. Have fun with this Seller!! Gracious Lady willing to help an old Fuddy Duddy !! !